When managing a headache patient, pharmacologic is the only part of the entire regimen. Before prescribing a drug, it is important for the doctor to diagnose the patient properly, review the result of previous treatment, go over preferred therapeutic options (including non-pharmacologic ones), establish a good relationship with the doctor and reassure the patient to maintain his motivation and optimism. Doctors should be able to educate patient in how to identify possible triggers and teach him in understanding how treatments work (including avoiding drug-drug interactions and adverse side effects). Abortive treatment (also called acute treatment) is performed when attacks have begun. It can also reduce discomfort, limit disability and prevent associated symptoms such as increased pain with movement, phonophobia, photophobia, vomiting and nausea. Typically, patients only get occasional acute treatment to obtain fairly rapid relief. It appears that the treatment is more effective when it is started while the headache is still of mild intensity. Immediate treatment tends to cause much fewer adverse reactions while reducing the likelihood of relapses. • Use a stratified care (the right treatment, the first time), which often means treating severe migraine cases with appropriate medication at the right dose. 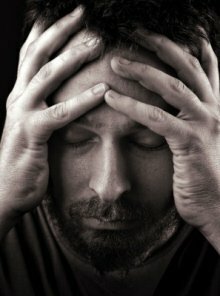 Headache treatment for each patient can be unique, as the doctor needs to consider frequency of dosing, potential adverse effects, lifestyle consideration (e.g., use of supplements, use of OTC drugs, alcohol consumption and eating patterns, among others). A properly modified treatment can help a patient to receive treatment medications and modalities as prescribed. Female patients should be asked whether they are currently pregnant or whether they are planning for pregnancy in coming months as pregnant women get significantly modified treatments. 1. Engage patients in the treatment planning and management to establish a firm patient-doctor relationship. 2. Modify treatment to meet patients’ individual requirements based on illness severity (disability) and based on responses of specific medications ( including side effects and efficacy). 3. Educate patients about their current condition and basic pathophysiology theories that can help them understand the rationale of a treatment. 4. Whenever possible, use headache-specific agents as the primary treatment, particularly for more severe headaches. 5. Choose an administration method that is best suited for the patient preferences and migraine characteristics. You should be aware that medications that bypass the gastrointestinal tracts, such as nasal sprays and injection often work faster than tablets. They are appropriate for treating vomiting and nauseated patients as people with poor gastrointestinal functions tend to have slower absorption for oral medications. 6. Follow patients frequently and closely to help improve treatment effectiveness by giving helpful tips, such as taking medication on time, avoiding overuse syndromes and managing medication adverse effects. 7. Give patients a headache diary (calendar) and ask them to fill it each day and bring it whenever they go to an office visit for review. A well-updated diary can help in tracking headache duration, intensity and frequency, the use of acute care and preventive medications, and menstrual cycles. The method is also useful to track disabilities by having patients take a HIT 6 or MIDAS test. There are about forty different medications currently prescribed for acute treatments of migraine, however only a quarter has approved indications. Some of them are proven scientifically to treat migraine clinically, while others while may be empirically useful lack solid evidences, supporting data or FDA approval. Obviously, choosing medications for an acute therapy is complex and require multiple steps. The doctor needs a good understanding about patient’s condition, preferences and migraine characteristics. In the ER, patients are given for intravenous medications for acute, severe headache. If patients have thunderclap headache or simply the worst headache they has ever had, it may be necessary to do non-contrast CT scan to rule out incranial pathology and hemorrhage. In some cases it should be followed up by MRI scan. If it is positively diagnosed as a migraine and ergots or triptans haven’t been taken within 1 day, then the patient is treated with intranasal or injectable triptans. Also, if patients didn’t receive vasoactive drugs in the last 24 hours, they may be given steroids, ketorolac, magnesium sulfate, valproate, diphenhydramine, promethazine, chlorpromazine, metoclopramide, and intravenous prochlorperazine. Migraine is considered as a chronic disease and those with disabling migraine should get daily preventive treatment and behavioral modification therapies. However, patients who don’t get proper education may at a great risk of abusing or overusing acute care drugs, which can lead to rebound syndromes, which is called medication overuse headache. Medication overuse on people with acute headaches may actually cause the symptoms to increase in intensity and frequency; additionally it can reduce the effectiveness of preventive medications and triptans. Overuse may also cause long-term dependency (e.g., with nasal sprays, triptans, ergots, benzodiazepines, barbiturates, and opiates) and analgesic rebound headache. After the patient takes acute care medication for more than two days a week, they should be tapered off to see whether their condition has improved. Currently there are no effective medications for occasional-tension type headache. Many patients use OTC drugs such as NSAIDs, caffeine, acetaminophen and aspirin. They can also get prescribed drugs as prescription-strength NSAIDs, butalbital-containing medication and occasionally opiates. This type of headaches is usually easier to treat unless they happen too often, due to the risk medication overuse headache. Patients younger than 18 years shouldn’t get triptans, although researches show that it maybe safe on younger people with migraine. Initially, the treatment of migraine on children is a small dose of acetaminophene, or followed by an OTC NSAID, if it isn’t effective. A high dose of aspirin on children can cause Reye’s syndrome. Acute pharmacotherapy for migraine should be able to stop symptoms quickly and consistently. Doctors should use stratified care and choose the right dose of triptans since the first visit. A good response is a pain-free state, which means it is more likely that the patient can have a pain-free status for the next 22 hours. Doctors may choose any of the rapid-acting triptans (eletripan, almotripan, rizatripan, zomitripan or sumatripan) at a maximum allowable dose for preventive medication, which is taken 30 minutes after the first migraine onset. However, if there is no improvement within 2 hours, the triptan should be taken again. If after another 2 hours, it still doesn’t work, the patient should take 4 mg of dexamethasone, an opiate, a sedative or an immediate visit to the ER, where he will get a parenteral medication. As we all know that there is no specific treatment of Migraine, but I know that the 1-2 tab of Grenil can help to treat this problem symptomatically. Patient can get early relief.